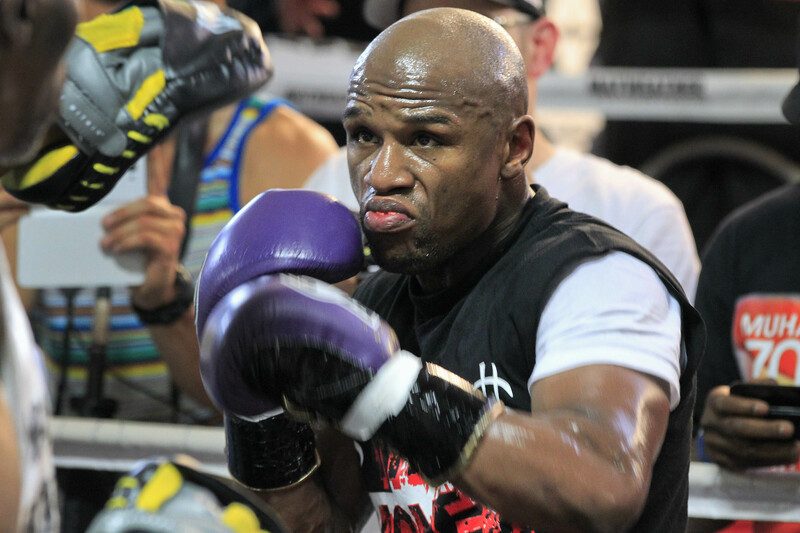 There is no bigger villain in sports right now than boxing champion Floyd Mayweather, Jr.
LOS ANGELES — What is it about villains that piques our interest as people? Think about your favorite movies or TV shows; all the most complex, interesting and really, best characters are the antagonists. You wouldn’t love “The Godfather” if Michael Corleone didn’t take the family business’ reigns by killing off his competition, and later, even his brother; Sonny sure wasn’t going to do it. Same with “The Sopranos.” Tony Soprano is literally one of the worst persons ever; deceiving, muderous, philandering, but did we want him to go to jail? Did we want him to die at the end. I know I didn’t. Don Draper, Walter White, The Joker, Eric Cartman, J.R. Ewing, David Caruso in Jade; all evil and deplorable as people, yet we root for them, and if you’re honest, feel sad when they come upon bad things even though they deserve it. At its core, there’s something fun about rooting for the bad guy; the rebel dressed in black. He always walks under cool music, delivers the most memorable lines, and even if he dies in the end, we want to be them. Except Scrooge McDuck, he was just mean and had a tail. 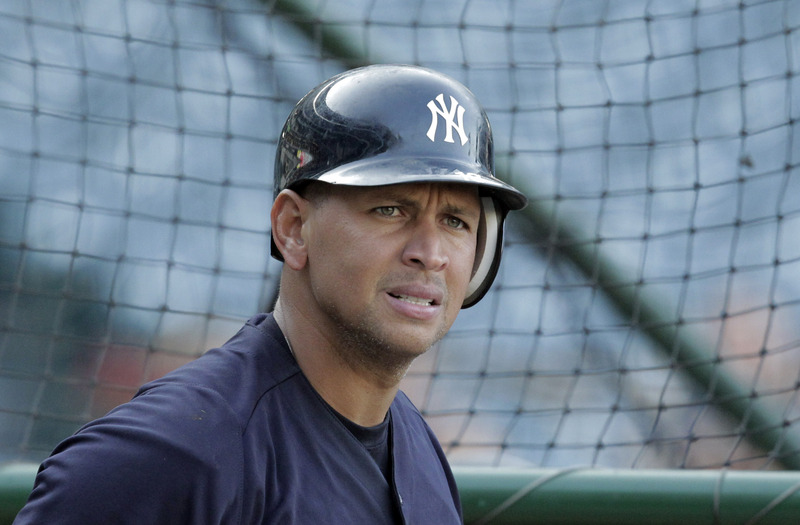 No one is more hated in Major League Baseball than Alex Rodriguez; OK, maybe just by me. In sports, rooting for the bad guy isn’t as easy — in fact, the easiest thing to do to HATE the bad guy — except when he’s on your team; then you see past what makes him so unlikeable (I’m looking at you, Pistons/Alex Rodriguez/Sean Avery/James Harrison fans). You don his jersey, feed his hype and make excuses for his jerkdom. Admittedly, it’s harder to be a true villain in team sports (I still contend LeBron James should’ve become the ultimate NBA villain, and in a way he sort of did but not on purpose; he still thinks he’s a good guy and wonders why he’s so disliked), but individually both being a villain and rooting for a villain is much easier. I’ll never forgive Tiger Woods after the scandal for wanting to be liked again; being the villain on the golf course would’ve been 100-times cooler. Think about it. If you’re looking for pub, magazine covers and the ire of the crowd, nothing beats being the villain. It’s why it’s much more fun to cheer against the heel in professional wrestling. 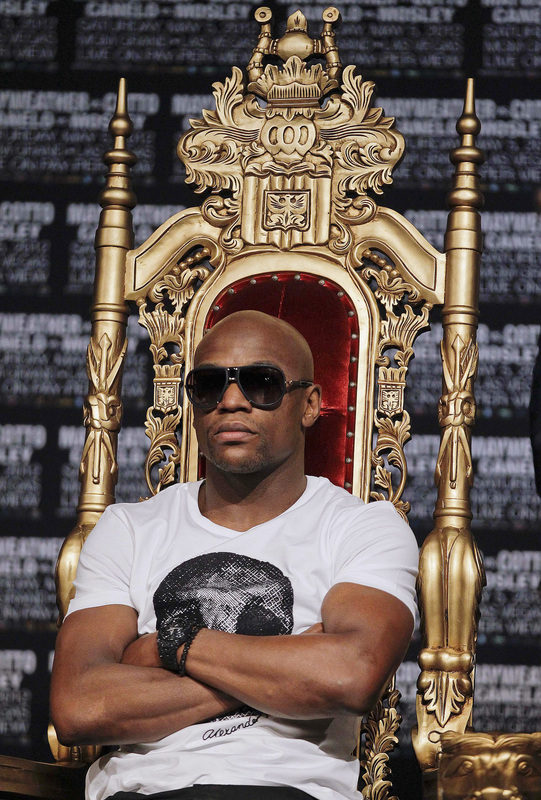 The king on his throne, Floyd Mayweather, Jr. is an perfect 42-0 as he steps into the ring Saturday against Miguel Cotto in Las Vegas. I’ll again be rooting for the bad guy Saturday when Floyd Mayweather, Jr. steps into the ring to fight Miguel Cotto in the latest boxing “mega-fight” in Las Vegas. The two 150-pounders are set to duke it out in yet another match which doesn’t feature Manny Pacquiao and Mayweather squaring off and will probably disappointment the million-plus who purchase it for $70 on pay-per-view. If you’ve watched any of HBO’s outstanding “24/7” leading up to the fight, or any of the program’s featuring Mayweather in recent years, or follow him on Twitter, or have read anything about him, you know what the 42-0 fighter is all about. On the show alone he’s bought $300,000 Rolls Royces, closed amusement parks for his family and friends, made six-figure sports bets, referenced dog fighting, went shopping with a backback full of cash, and unapologetically and openly taunted his opponents. He’s traded verbal assaults with his father, talked about his upcoming 90-day jail sentence, his legacy (he thinks he’s the greatest of all-time; shocking, I know), Manny Pacquaio, lit 100-dollar bills on fire, partied with Ray-J and 50 Cent and on and on. It’s amazing TV and completely unscripted. He’s selling himself and his “Money May” brand and he does it better than any athlete alive right now; he’s guaranteed $32 million from his fight vs. Cotto and possibly more. 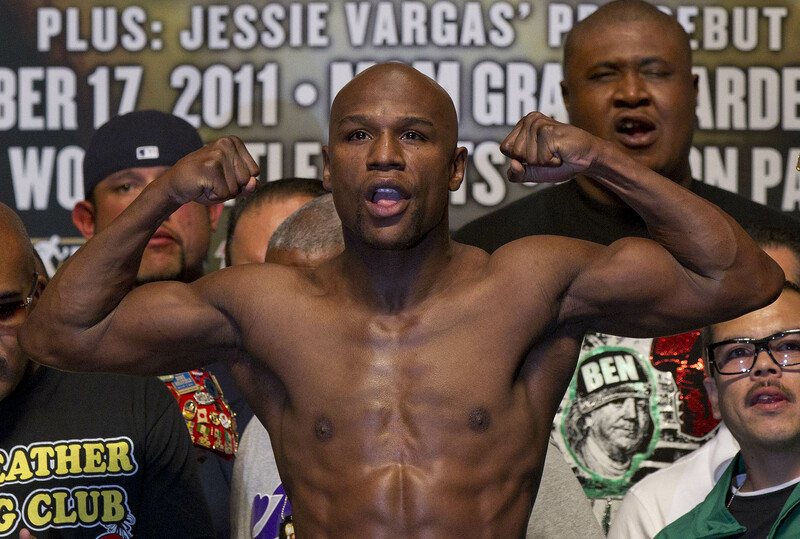 Here’s the thing, though: I like Floyd Mayweather. I like him despite on the surface he stands for everything I’m against as a person. But as an athlete, he’s what I admire. He’s brash, unafraid (sort of, since he hasn’t yet agreed to fight Pacquiao, though the converse is true as well), extremely confident and performs on gameday with an unmatched gusto. He believes he’s never going to lose. And he hasn’t. If Floyd Mayweather loves anything more than cash, I haven’t seen it. His nickname is “Money May,” afterall. I want him to keep winning, too. The more Mayweather wins the more he can keep living his lifestyle and building this “Money May” persona, which means the more people will hate him, and when both he and Pacquiao finally agree to fight each other, more people will care and will shill out the cash for the pay-per-view, only making him richer. Boxing might be dying as a sport (name one heavyweight champ other an a Klitchko or big fight that didn’t include Mayweather) and if you put retired NFL players and boxers in a police lineup you wouldn’t be able to tell them apart; not to mention boxing’s concussion and brain problems leading most young Americans to choose a different sports path, but you have to respect what Mayweather has done and is doing both in and out of the ring. He’s the last true villain and he knows it. And see him ride in on the black horse Saturday and continue to fabricate his dark legend. Don’t be afraid to cheer him. He’d rather you boo, of course, but doing so on either side will only fuel him to continue on his path away from our hearts. All part of the villain script. Posted on May 4, 2012, in Random and tagged Alex Rodriguez, boxing, Don Draper, Floyd Mayweather, Miguel Cotto, NFL, South Park, The Godfather, Tony Soprano, villains. Bookmark the permalink. Leave a comment.